How essential is coaching Material? Cadre preference Rajasthan > Haryana > Gujarat. I am a doctor at AIIMS, gave AIIMS entrance at 16 and passed out in Jan 2014, appeared in civil services exam as 21 year old kid. Wanted to solve grass root problems of people as we have been taught that prevention is better than cure. Q. Let’s face it, many toppers have relied solely on (authentic OR xeroxed) coaching notes for Mains-2013. Some of the readers are getting a negative ‘vibe’ that UPSC is not meant for an individual preparing from far-away area, without any financial resources or contacts in Delhi to import such coaching material. What’s your stand on this? I don’t agree. It’s a big misconception that coaching class or coaching notes are essential for success. I personally know many in the top-100, who succeeded without relying on such material. In fact, barring just 1-2 topics like Comparing Constitution, I myself have not relied on the coaching resources. I’ve covered majority of the GS syllabus from Wikipedia, internet, Hindu and India yearbook alone, and the result speaks for itself. Similarly even for medical science optional, I relied on my own college notes and google. All of the studymaterial is out there on public domain. There are no “secret coaching notes” which you can mugup and automatically secure a high rank in civil service. And as far as ‘financial resources’ are concerned, Ab kya chhotaa kya badaa…today everyone has internet. So just download everything on your pen drive and keep studying wherever you go. Never made any notes, 90% of stuff I read is in electronics format, even newspaper, books, Wikipedia, your blog and a closed group whose details I can’t share. I read a lot and I am blessed with a good memory. Q. On an average, how many hours do you study? How do you keep study momentum going on? How do you fight against the mood swings? 9 hours a day, if I don’t like I don’t read, I play guitar, helps me a lot. You’re working in AIIMS. How to manage studies with job/internship? Read variety sources, stop mugging up dates facts and persons in news, that trend is long gone. But you may skip Basu and Kashyap. Aspirants only focus on IAS related editorials but I advise them to read all variety of editorials in TheHindu. because directly/indirectly majority of the comprehensions are based on Hindu only. So, for at least one month you should read all the editorials from Hindu no matter whether they’re relevant to GS-syllabus or not. Yes, they help you gauze their level of preparation, keep competing with yourself and you are bound to improve. It was pretty long in English so for non-English background student I would recommend to study Basic English grammar. Q2. Which among essay did you write? What key points did you include in it? How science is both boon and bane as far as security and growth are concerned. Q. Did you use frontline/EPW/Yojana magazines for mains? I did not read frontline or EPW. But yes I referred Yojana. culture syllabus is unlimited. no matter how much you prepare, it’ll be insufficient. but at the same time it’d be unwise to leave this topic entirely. Ignore: queens, kings, battles etc. Old NCERT focus on the bold words, google them. At max just need 20-30 keywords. Then add grammar so you’ll reach the 100 words limit. Just wiki for those 7-8 core topics world history. time very less, so not much point in focusing too much here. better spend that much time on Ethics. Starting with NCERT then make summary notes on major events such as Panchsheel, India-Pak, India-China, Green revolution, industrialization etc. If you’ve 1 year or more to prepare then read India after Independence by Ram Chandra Guha. But not like a novel-just focus on exam worthy points only. NCERT sociology Class 11 and 12. Beyond that keep an eye on Hindu editorials. There is no need for any coaching material in this topic. in that book, focus on part I. No need to focus on part II that much. There are just a few theories to prepare. earthquake tsunami etc GC Leong. impact on flora-fauna Nothing separately. Various test series site upload mock questions on their sites, do solve them. comparing Constitution with world Notes from Ravindran Sir’s class. ministries departments, welfare schemes, bodies, social sector, health, edu, HRD Just basic features from India Yearbook. Don’t go in depth. Previously UPSC was focused on ‘depth’, nowadays just ‘range’. pressure group, informal asso., NGO, SHG etc Hindu editorials. No need for separate preparation. Representation of people’s act Internet and Wikipedia. just focused on the basic provisions only. No need to go through entire draft. governance, transparency, accountability, role of civil service Refer to my GS4 section. e-governance On pib.nic.in search “E-governance” to find out various projects by various ministries, How can it help implementing SEVOTTOMA etc. don’t waste time in old topics like NAM, Panchsheel etc. unless its finishing 50-60 question or some person in news. E.g. Death of Gujaral so, Gujaral doctrine was asked. Nowadays UPSC is only asking current based straight forward questions. so just focus on current issues from theHindu. intl.bodies- structure mandate WHO, UN and World bank group: prepare them in detail.beyond that just 15-17 bodies. Goto Wikipedia then one link leads to another and prepare basic features only. don’t go in detail. only read introductory paragraph in Wikipedia. We don’t have time to read everything and even if you do, you can’t memorize it much. Mostly relied on your site and economic survey. no need to consult Economic Times (ET), Financial Express or any such separate newspaper for economics. 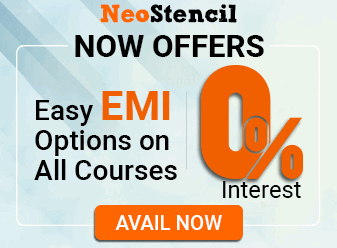 Class 11 and 12 NCERT Economics and Geography. your own [Land Reform] article series under Mrunal.org/Polity. in fact I wrote the Bhoodan answer in Mains-2013 from there only. infrastructure, investment models As such this is covered in Dutt Sundaram. But please avoid this book as it is written for those with economics optional. environmental impact assessment Collected some internet material, while I’ll share soon. Disaster Management Prepared only introductory part from NDMA’s official site. Whenever you can’t understand any terminology just google it. Just basics from the ICERT official site. security agencies- structure mandate just the main 5-7 bodies from Wikipedia. no need for coaching material here. Q. 2nd ARC report: how much did you prepare? Ans. I only read its summary points. There is not much time left so it won’t be beneficial read the entire report- particularly for those without Public Administration optional. ethics and interface, family, society and all the hathodaa topics Moral Lexicon by Chronicle. ethics in pub.ad, accountability, laws, rules etc. corporate governance Corporate social responsibility related provisions. probity in governance, work culture Moral Lexicon by Chronicle. citizen charter, ethics code, work culture etc. 1: RTI: To hide or not to hide I’ll file RTI to get my mains answersheet. Then you upload it for the readers.Mrunal: awesome. You’ve 98 marks in ethics. It’ll be great to see your paper. Thanks in advance. Narrate one incident in your life when you were faced with such crisis of conscience and how you resolved the same. Q1. How was your experience with the ‘fixed space’ answer sheet? It was really nice experience, being a doctor I’m used to write to the point. But for non-science student, a word of caution, straight away jump to the answer, no need to give introduction, you won’t get time. Q2. Did you write answers in bullet points or in paragraphs? Some players (who cleared mains and got interview call letter) were claiming that they wrote entire paper in bullet points, so it doesn’t matter….whether examiner is asking ‘examine, comment, discuss or xyz’….simply write in bullets and points. That’s 100% true. Write as precise as possible. There is no time for flowery introduction and all that. Q3. In GS papers, Since UPSC came with those 100 and 200 words questions. What was your approach in the exam . I have followed a “9-8-7” strategy for each paper of General studies. For any topic just recollect 20-30 keywords. and once you add grammar to it, you’ve reached the wordlimit of 100-200 words. UPSC is no longer about “depth” but range. Don’t waste time preparing every topic in extreme detail. I’ve answered at least 95% questions. Whoever hasn’t followed similar strategy, he hasn’t found place in the top 100 ranking. Mrunal comment: yes boss, you’ve ~100 marks in each GS paper except GS2. And despite the fact that panel give you only ~150 in interview (While others got ~200), still you’re 18th ranker because of your awesomeness in general studies. In short, *RESPECT*. Q4. How many marks worth questions did you skip/couldn’t finish in the GS papers? I wrote something in all the questions. Nope, highlighted with the same pen I was writing with. Pen only, you won’t get time to pick something else. Q1. How did you prepare Medical science optional? As such MBBS is gigantic but UPSC syllabus has only 200-250 topics. After analyzing previous paper I saw there are 60-70 core topics from where majority of the questions come. I’ll share that list with the readers shortly. Q2. Whenever a Doctor starts UPSC preparation the ‘experts / coaching sirs’ recommend him to opt for Public Administration, sociology, Literature etc. saying “you won’t be able to finish syllabus of medical science”. Your view? Like I said, although MBBS course syllabus is gigantic but UPSC syllabus of medical science is shorter. Just focus on the syllabus points. You can manage it, like I’ve done. I graduated after my mains exam so remembered a lot of stuff, didn’t do anything separately. Q2. Did you attend any mock interviews by coaching classes? how were they similar / different than official interview? do you believe it is necessary to attend mock interviews? Light blue cotton shirt with filler sleeves, black trousers with black shoes and a belt. AIIMS, my hostel room where I am staying for past 6 years. I did make personal notes and can upload them if needed. Q4. Please narrate your entire interview- what questions did they ask and what did you reply? Yes AIIMS is the elite-most medical institute of India but still, the grass root situation hasn’t changed. Forget about medical care, even pure drinking water or basic sanitation is lacking. I wish to work at the grass root level, tackling the causes of problems and nipping them in the bud as I can’t do that as a Doctor, We can only cure not prevent the diseases. Provision of basic amenities like water, sanitation etc. that will prevent origin of diseases. Q. You are the youngest person till date I have interviewed, don’t you think you will succumb to the political pressure. The very face that I’m the youngest person means I haven’t spent 4 attempts in preparation. I’m not carrying any baggage, I have no dependents, I’ve nothing to lose. Therefore, I being the youngest person is least likely to succumb. Q. Dowry is prevalent in your state, how will you refuse to take it. Yes it is unfortunate, nowadays IAS-grooms are ‘selling’ for 50 lakhs and 1 crore but someone has to take a lead by refusing dowry. If I, as a civil servant, succumb to such bad practices what can be expected from a common fellow. Ethics is the corner stone of medicine. We get many poor-illiterate patients. They don’t know what is good for them, what is the bad for them. If the doctors start misusing their position to make quick material gains, then profession itself would be tainted. Medical practice without ethics, would be an abomination. From which country was rubik, what was his profession, how much do you take to solve a rubik cube, what is the world record? Q5. Was your interview on the expected lines of what you had prepared or did they ask you totally unexpected questions? Was it a stress interview? If yes, how did you handle it? If you’re well prepared there is nothing you can’t handle. Q6. Any side details about technicalities like “make sure you bring xyz document, or you’ll face problem”? Just go there and come out, always wear spectacles. Q. Your marks are awesome. You’ve bit low score in GS-2, but that has happened with every topper. Suppose you had to give exam again what change will you make in your preparation? Whether I had revised twice, I would have revised it four times. In certain areas, my study was focused on ‘terms’ and persons in news. Next time, I would have tried to get a holistic overall perspective of the given syllabus topics. This time UPSC did not ask much on laws / current bills but we should prepare that as well. Q. if you were made the UPSC chairman, what reforms will you initiate? Candidates should be given more time to write answers peacefully. These mains papers were so long, felt like Gaddha majoori rather than articulating one’s views in the answersheet. What’s the point of this exercise, is it a writing-race? Candidates should be told the criteria for evaluation. I’ve seen many hardworking candidates receiving very low scores. I had prepared and written GS2 paper sincerely, yet I’m given barely 61 marks. 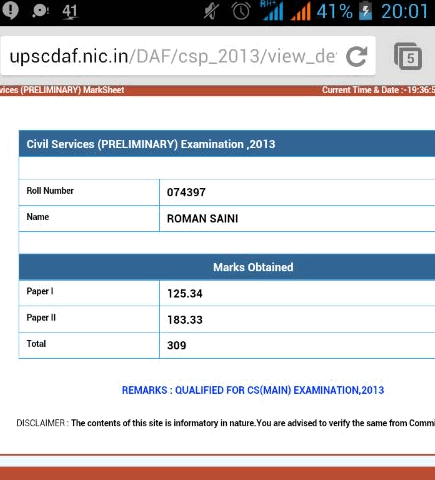 UPSC should upload the prelim scores, cutoffs and answerkeys without waiting for the entire exam phase to complete. Would have continued as Jr.Resident in AIIMS. Frankly speaking, I wouldn’t have given next attempt. I’m still looking out for the so called wisdom, but fail frequently, earlier and faster than others. Just decide if it is for you and jump into the midstream and forget everything any one ever told you. Most of the people lack intellectual prowess to decide what is the right thing to do. Always make your own rules and break them again and again till they start suiting you. Nope, no one stood behind me. I was completely alone while I prepared for this exam. Q. You are well aware about the sacred rule of conducting topper’s interview- the last question must be about self-marketing. So, Did you use Mrunal.org for your preparation and if yes, how did it help you? And you can even reply “No”. I’ll publish your answer without tempering/editing it. Yup, as I mentioned earlier I read your blog from time to time and just want you to tone down the sarcasm a bit. Otherwise continue the good work. You are really helping the poor and rural aspirants a lot. Mrunal: thank you doctor for giving your prescription for Success. We wish you the best for the long career ahead, keep in touch. Sir i was engineering student i left engineering after my first year because of some problem then i have completed my graduation in bsc .but my documents in both the college ..it ll create problem to me? sir please add me at fb and wtsp i want to……..
Hello sir… I wanna know which optional subject should one choose ? I am new to everything about upsc ..I have Registered for the Prelims on 7th aug. What all do I need to prepare for that..what should I studyy and go through and from where can I take coaching or which notes ‘ll be helpful? I have chosen psychology as optional subject. My medium is English language. Hello sir. I am a single working mother with high aspirations of becoming an IAS officer. I gave my first attempt in 2010 and cleared prelims. Henceafter I got married without appearing for mains. Now I am 28 yrs old and can utilise 3 attempts till I attain 32. Do u think I should take this chance at my age? Gd aft sir, i am in 3 rd year of btech and want to prepare for CSE 2018.please guide me sir. 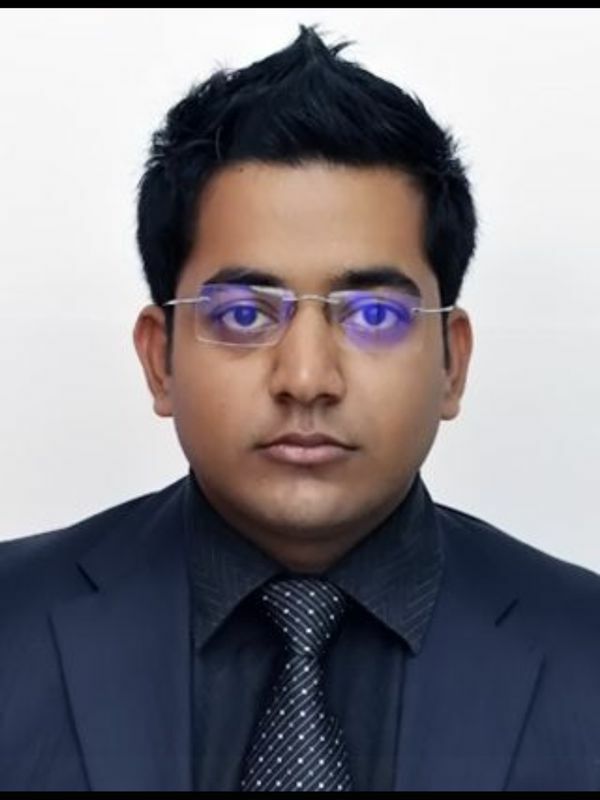 sir m the student of forensic science and criminology…………….i use to follow your videos and read NCERT BOOK throughly.but their is lots of differnce between your lecture and ncert.wat can i dosir…..
actually I m so confused about the optional subject which I should opt in order to clear UPSC?? Nd also wht is the preparing strategy of NCERT ????? Sir, can one who was dull in his earlier education crack UPSC if he try in his college life????? Sir, am also to be an IAS . Sir my date of birth is August 10,1997 and I graduated in science since 2016. When I eligible for ias examination. gsir i am also agree with your opinion and i think self study is more important than 100% on codependency on coaching classes.minimum study for qualifying any competitive exam is 8-10 hours rigirious study. No doubts Roman Saini is one of the best inspiring people among youth. His mission to provide free education to everyone is the best thing on the internet. Hello sir, my self m.deepika studying mbbs 1st year and I wanna bcom ias.so, I want to know when should I start preparing for upsc exam.please guide me sir. I will be thankful to you sir.